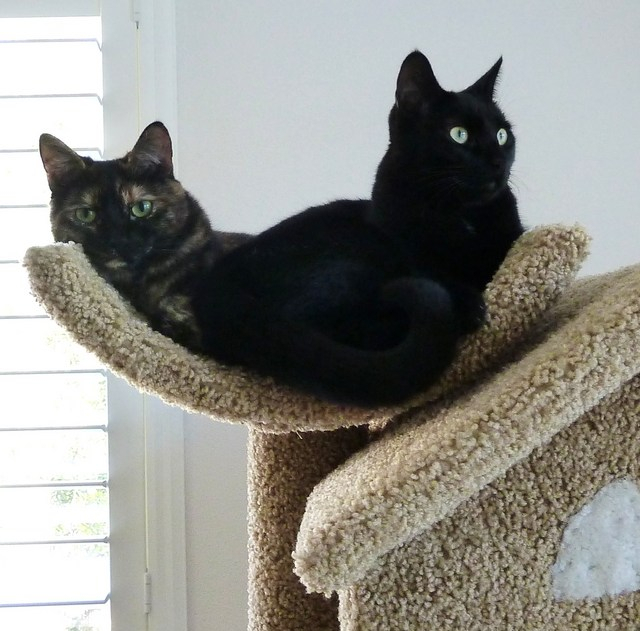 Zack is a handsome black cat and Zoey is a beautiful Tortie. They are 8 years old but still run around like they did when much younger. They love chasing each other and climbing up their trees. Their favorite thing is to watch the birds and rabbits in our backyard from our windows. They also enjoy watching the 4 year old twins (our grandchildren) come over to play.